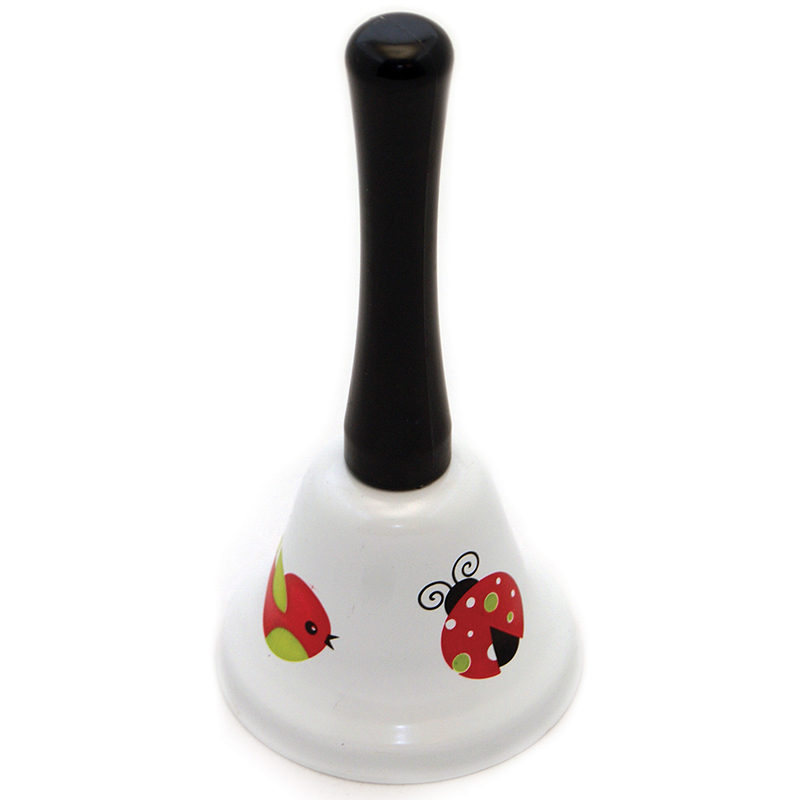 High Quality steel hand bell with attractive finish, 4" High. High quality bells. Classroom decoration or teacher gift. Attractive Prints!